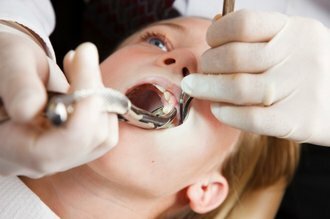 There are a number of reasons why an extraction (pulling a tooth) may be necessary. The tooth or teeth may be too badly damaged, from trauma or decay, to be repaired. Other reasons include: crowding where taking teeth out will allow for more space, infection from bacteria in the nerve and root (abscess), and periodontal (gum) disease where teeth become too loose to function properly.